This post is with you a couple of days later than I’d intended due to being scuppered by an administrative hurdle, namely the DVLA office being shut on a Saturday. 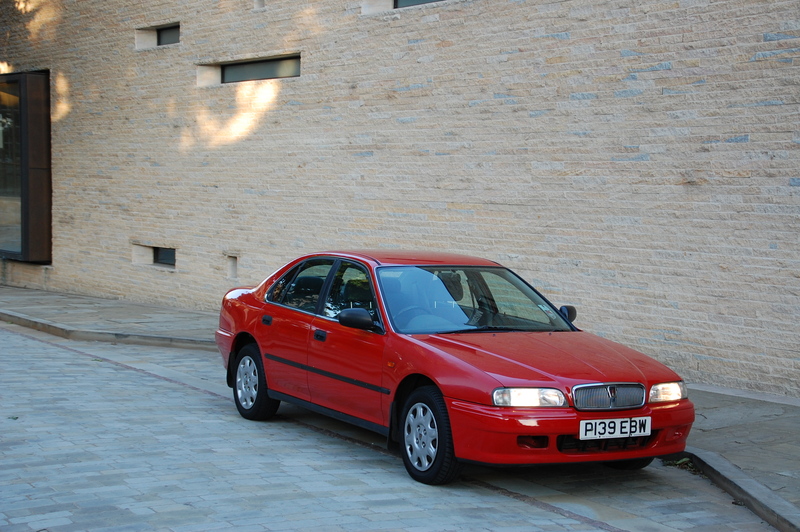 The previous owner of the Rover 620Si, the magnificent steed chosen for the challenge that is Banger Does Britain, had the car registered in the ‘disabled’ class and I needed to revert it back to PLG. Such tasks cannot be trusted to those fine men and women working in the local Post Office it seems, hence the visit to DVLA’s regional HQ. “Oh dear” I exclaimed to myself on Saturday morning upon discovering the doors were locked and nobody was in. Maybe I’m out on a limb here but I would have thought such a vital public service would have been available to use at the weekend. As it was, I left work as early as I could today – two forms completed and £118 handed over and I was the proud custodian of a pinky red tax disc. I’d actually collected the dashing Rover last Tuesday evening, from its previous keeper in Cambridgeshire. 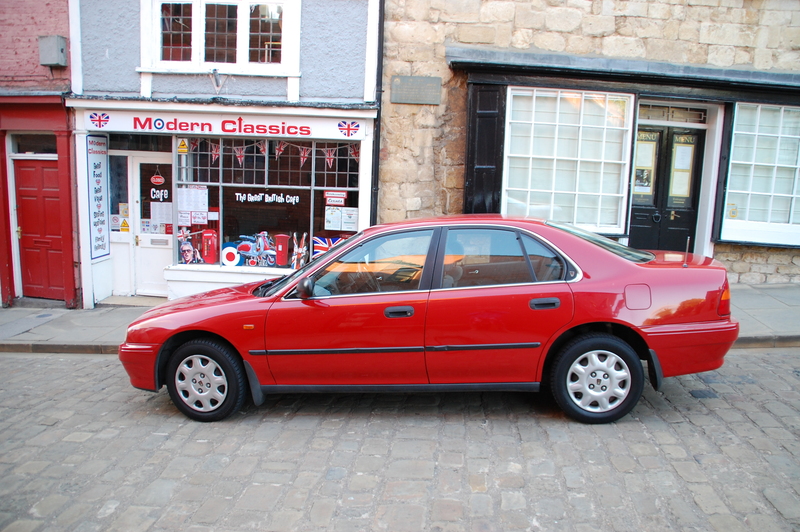 A quick inspection of the car confirmed it was indeed a Rover 620 and the same one I’d successfully bid on at the weekend. Its service history comprised of a receipt for an exhaust (18 months of warranty left on it, mind), almost every MOT and proper Viking ship stamped Rover service history to up 40-odd thousand miles. It’s now a shade under 72,000 and was done last about 6000 miles ago according to the last owner. 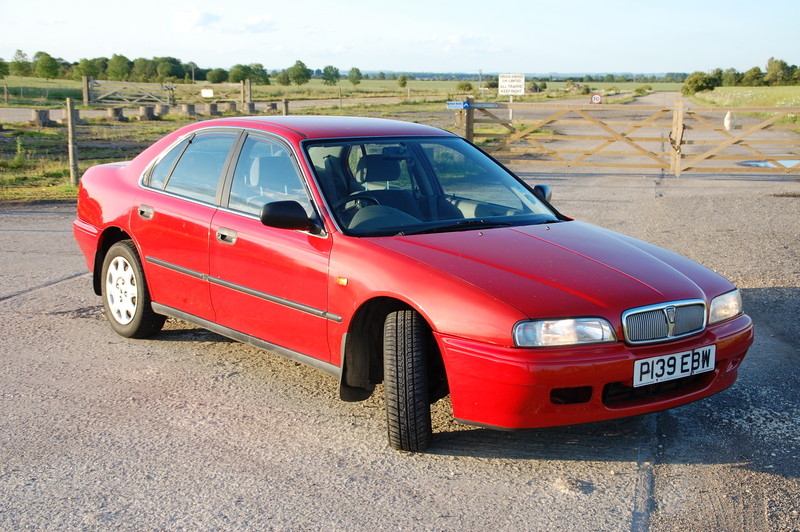 So, £511 was the agreed end of auction price but an unexpected discount was offered before I drove off – to a Bangernomics standard price of a round £500. I felt so like Mike Brewer I wanted to say “’old aht yerr ’and” but I resisted the temptation. 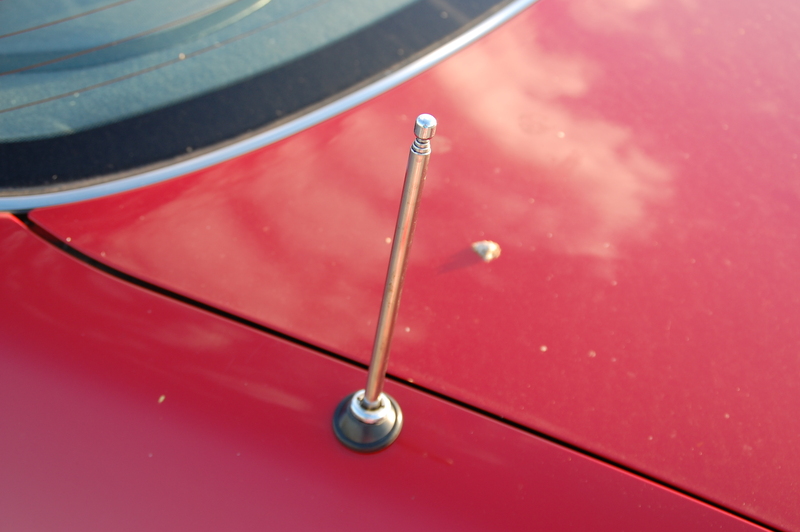 Now, let’s not get carried away – this is a 14 year old car that hasn’t been looked after brilliantly and appears to have spent most of its life outdoors when resting. 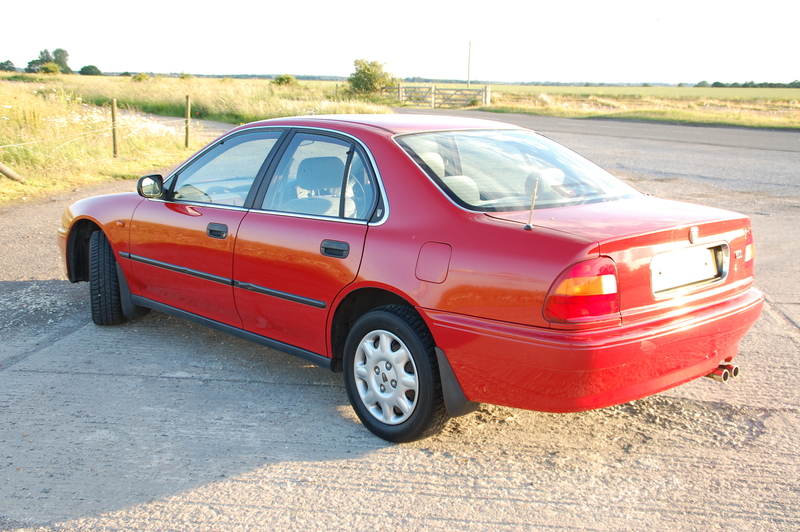 This lived in look is exacerbated by its solid red paintwork. It’s not gone flat and pink like the entire fleet of Royal Mail LDV Maxuses although I doubt the front wings will take much longer to get there. The rest of the metalwork has had a peppering of tree sap and bird crap, leaving a pitted, tacky finish to the surfaces. Luxurious it’s not. The panels are free from dings and knocks, apart from one on the nearside rear door, which has bent the rubbing strip. 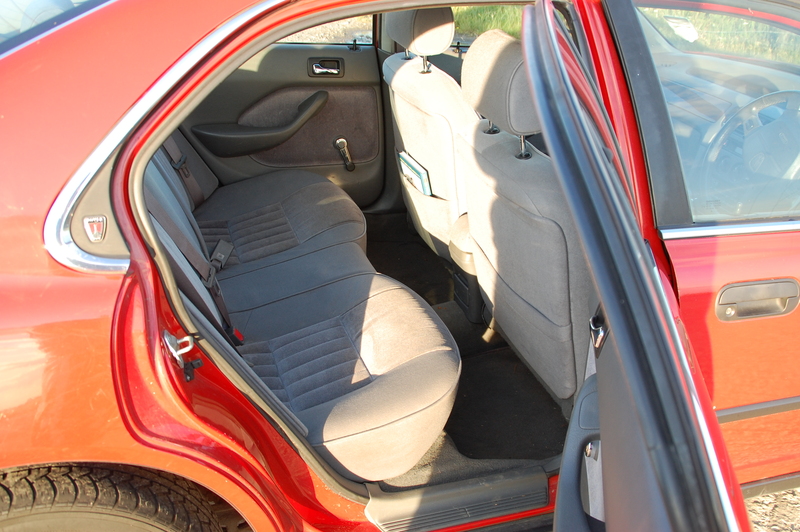 Opening the doors, bonnet and boot lid reveals plenty of dark green, dusty residue where tree and leaf matter has broken down over the years. At least there’s no evidence of panel replacement. 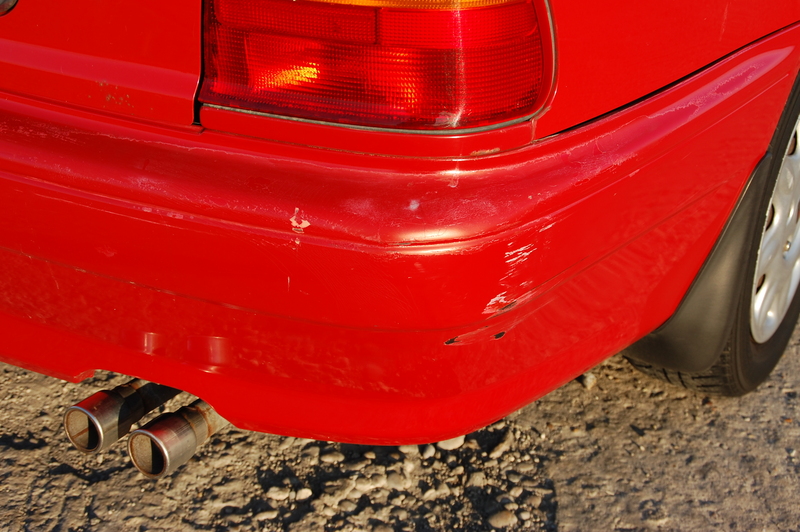 The bumpers are a tale of two cars – the front looks as one would expect, pock marked by the odd stone chip (who knew it could go fast enough to obtain them?) and missing one of the blanking panels where a front fog lamp would otherwise reside, but the rear one is a sorrier affair. Crazing in the paintwork suggests the polycarbonate structure’s been dunched lightly against something solid before springing back into shape, but the offside rear corner is properly battle scarred, with some shallow grooving and exposed grey primer for all to see. Slightly remarkably, all four original wheel trims are in situ – but all four have been scraped and kerbed. Either it’s been parked along the right hand side a few times, or the trims have done service on both sides of the car. It’s fine – it adds to the rough around the edges ‘appeal’ if I may call it that. Just pleased they’re plastic discs on steelies though and not some of the alloys available on grander models in the 600 Series. A mindless act of vandalism had resulted in the original electric aerial been snapped off but in the boot lay a working replacement unit. It was a bit of a faff to fit, in that there was little space behind the boot lining panels, but installed and working it is. It’s not a total success story though – I need to find some kind of tool to tighten it up fully to the body and, as you can see from the picture, when at rest it doesn’t retract fully down. I console myself by pretending it’s supposed to do that. Somewhat amusingly, when the radio’s turned on and the aerial glides skywards, the motor whirrs for ages. If you couldn’t see the top of the mast in the rear view mirror, you’d be convinced it’d gone so far up you’d have to retract it to go under bridges. Also visible in the rear view mirror (what a segueway – proud of that one) is the third brake light, known in geeky automotive circles as the HMSL (high mounted stop light – keep up, would you?). It’s a curious fitting in that the light unit doesn’t sit on the rear parcel shelf but instead is affixed to the rear screen, leaving a finger width gap between the base of the plastic casing and the shelf. Well, that’s how it should have been – this one had come loose and was sat forlornly, adrift of the rear glass, where one might expect to find a box of tissues or perhaps a Churchill nodding bulldog. As I type, the light unit, a couple of splodges of No More Nails, wedged up into place by a Haynes manual, should be reunifying brake lights and rear window glass (it didn’t work, by the way, so plan B will be in operation soon). You may have read before about the Jaguar I bought before that had been used as a kennel for a brute of a Rottweiler. It seems the grey velour of the rear seat has also been home to a canine companion, judging by the matting of short dark hairs, lovingly woven into the fabric amongst a fine selection of biscuit crumbs. Come to think of it, I’ve not personally bought a car where so little effort had been employed in sprucing up the thing. Crumbs, dust and greasy marks adorn the interior in a way one might expect of a sofa in a Weatherspoons. But underneath the grime and detritus is a fairly straight and honest cabin, tarnished by a couple of fag burns (or more likely, dropped hot tobacco ash from a pipe) on the driver’s seat. That pale grey velour has little flecks of primary colours to relieve the potential tedium. Hard to suggest it looks classy, but there’s a strange kind of inertia between the cloth and your clothes, so the seats feel grippy. 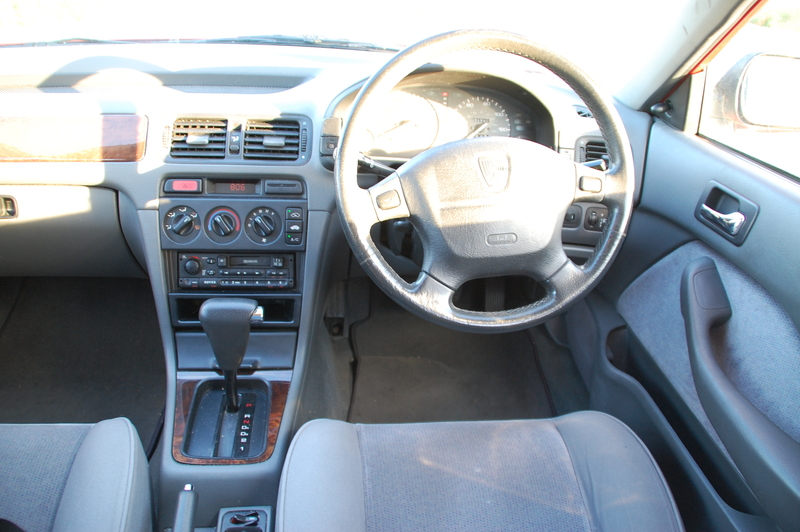 The dash of this lowly specced model has a slab of ‘wood’ on the passenger side in place of a passenger airbag, a little additional fillet of walnut around the automatic gear lever, but nowhere else. In fact, the interior plastics have a heavy grain leather look finish – the colour and texture not dissimilar to an infant elephant. Minus the bristly hair, naturally. 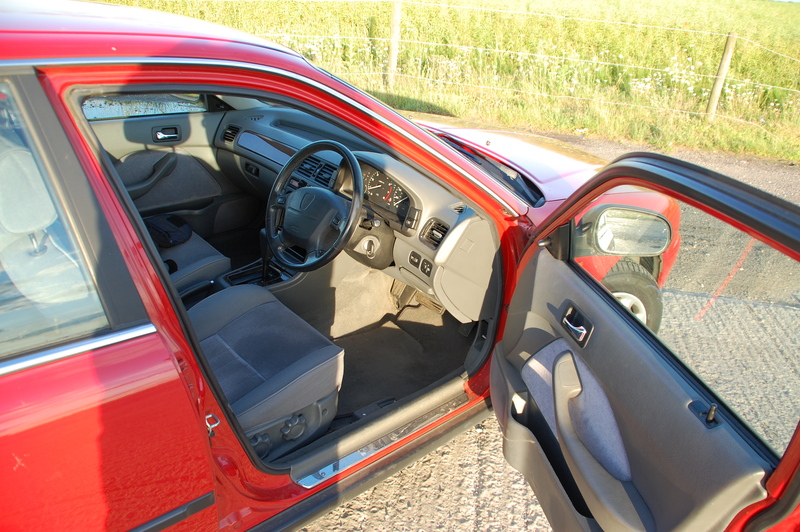 The low level of equipment is all present and correct, which is a bonus – sun visors, interior light, speedo, electric front windows, manual rear view mirrors and seatbelts. They’re all there and they all work. 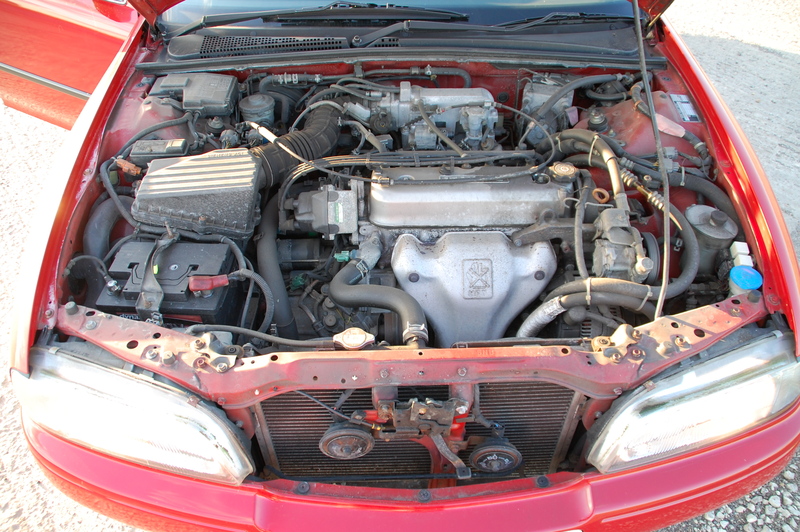 Back outside and under the bonnet, there’s an engine – a Honda as opposed to Rover unit in these naturally aspirated 620s. It’s a little gruff to be honest. Or at least it seems to be to me. Almost diesel noisy at start up. Maybe I’ve been spoilt running a range of silken straight and vee sixes for the past few years and it’s normal. It pulls reasonably well, and cruises without pummelling the ear drums, so perhaps it is just cold start ups. It certainly felt as though it hadn’t been used for a while – a fact reinforced by the bonnet catch not re-engaging without a liberal dose of WD40 to loosen its joints. Once on the move, again more so when cold, changes between the four ratios are far from seamless, with a fair amount of transmission shunt in those early miles. It does improve the longer the journey but I suspect a change of transmission fluid wouldn’t go amiss before the long drive in the summer. Acceleration is pedestrian, suiting the nature of the car, although it seems to keep up with traffic without any bother once it’s up and running. By now, even for the non-car aficionados among you, it’ll be clear that I wasn’t expecting it to handle in a manner representative of the pinnacle of sporting saloons. I wasn’t disappointed. It doesn’t do anything badly, it’s just so painfully ordinary. If you’re a patron of the fromagerie at Fortnum & Mason, this will have the affrontery of a slice of Dairylea processed cheese. I’d been concerned that tiredness would be a challenge during the Banger Does Britain experience – now I fear over a thousand miles behind the wheel may induce a coma. So long as it proves to be mechanically robust, that’s the main thing and to this end, for the next few weeks I’m going to run it as my daily driver. Not since I ran a 1987 Peugeot 309 in poverty spec ‘GE’ trim back in 2002 have I not feared leaving my car for the day in the school car park. I’m more likely to have a £20 note tucked under a wiper than have it broken into. A drive tonight brought back memories of what it’s like to drive a car other people consider to be unworthy of the highway. A selection of other drivers treat you with contempt and their aggression behind the wheel increases – if the driver of the Golf R32 behind me for some of this evening’s drive had got much closer to my rear end, we’d have been in an intimate relationship. Over the rutted and cobbled roads which formed my mini tour of Lincoln, ride quality was surprisingly good. It doesn’t iron out every rough surface but the suspension damping is sufficient enough that bumps are not transmitted forcefully into the cabin yet neither does it doesn’t wallow and induce seasickness. The handling is a little more curious. The steering feels eerily light and disconnected on the straight ahead yet any input with the wheel induces a huge amount of resistance, almost as though there’s a fault with the power steering. It’s still light enough to twizzle with a finger but it has a strong desire to centre itself. Cornering characteristics are otherwise vague with reasonable grip despite the non-standard fitment of Nexen and Roadchamp branded tyres. I can’t imagine the guys at Michelin and Pirelli lose much sleep over these guys. Work out the exact route to travel for the Four Corners drive (although I will have my trusty TomTom on the day). Try to find somewhere in Cornwall to have a kip during the day before the drive and then again somewhere in North East Scotland in the early hours of the morning at the end of the journey to sleep the drive off. Order some vinyl stickers to go around the car – thinking of ‘Banger Does Britain’ along the flanks and my web address on the rear bumper. Any other suggestions? Visit the Newark Auto Jumble on 17 July and ‘show’ the car to drum up some further publicity for the expedition.